Cisco is building Asia’s first Internet of Things hub in the Electronics City, Bangalore. This state of the art hub will provide a ‘smart city environment’ to IT and Electronics companies and help them create the next generation IT enabled solutions. Utilizing Cisco’s network infrastructure and expertise in creating, testing and implementing electronic product prototypes, companies located in that area can create solutions for City Infrastructure Management (CIM) which can include smart parking, advanced CC TV surveillance, smart street lighting which saves energy, smart water management solutions and more. Last week, Cisco announced a partnership with Electronics City Industries Association (ELCIA), which has developed Electronics City to start this new exciting project which combines smart city experience with Internet of Things. People close to this project are saying that this partnership has been encouraged to help Electronic System Design and Manufacturing (ESDM) companies existing in the Electronic City, and encourage more Internet of Things enabled solutions and processes. Broadly speaking, this new hub will successfully encapsulate both hardware and software expertise of Indian companies, and help them achieve futuristic solutions based on the existing technological platform provided by Cisco. Electronics City is right now the biggest hub of software and electronics companies in Bangalore. More than 140 companies are spread across 800 acres, which includes some big names such as Infosys and Wipro. More than Rs 40,000 crore of revenue was generated from Electronic City last year. The actual hub of Internet of Things, code named ‘Living Lab’ will be spread across 5 square kms inside the Electronics City. This hub will optimally utilize Cisco’s “Cisco Smart+Connected City Wi-Fi solution”, their network equipments such as routers, switches, access points etc which would be directly connected with the smart city’s optical fiber network. Startups and companies which are participating in this mega project can also get access to Cisco’s Internet of Things (IoT) Innovation Fund, which promotes and encourages such companies to create applications and software to promote IoT culture and technology. 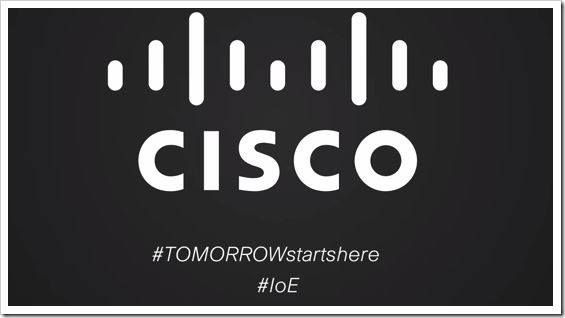 They can also participate in the global Cisco IoT challenge. The first phase of the project will start somewhere in October, and once fully functional, would be spread to different parts of Bangalore, making it a 100% smart city within next few years. Internet of Things is commonly referred to a platform wherein every device is connected to one another, thereby creating a huge network of smart devices. As per a recent study by Gartner, by 2020 there would be estimated 26 billion devices connected by Internet! Such huge inter-related devices will churn out approximately 44 trillion of data by 2020, which further tells us how much important Internet of Things has become for the whole world. Earlier, we had reported that Gujarat government is currently building India’s first smart city near to Ahmedabad. Such smart cities will no doubt utilize Internet of Things technology for maximum output. Cisco has already informed the Indian government that they want to participate in this initiative to create smart cities, and the first step has already been taken. Indian technological world and IT industry will be surely keeping a close watch on this exciting development! Mostly Person knows about Electronic City is one of the largest IT hubs in Bengaluru & also know for growing in Real Estate faster than others.